Is it Summer? Is it Fall? My brain is so confused. We’ve had some cool nights lately where we didn’t even need to put the air conditioner on. That’s not typical for CT in August. Should I put my sandals away and starting wearing my new booties? Maybe that’s the anxious fashionista talking because it’s going to be over 90 degrees F for most of this week. I think those booties will have to wait. You can see now why I’m confused. I sort of feel like I need to wear shorts and booties at the same time. I’m not sure that look would fly though. (Though my husband does regularly sport a hoodie with shorts once autumn rolls around, so maybe it’s okay if you are a guy?) 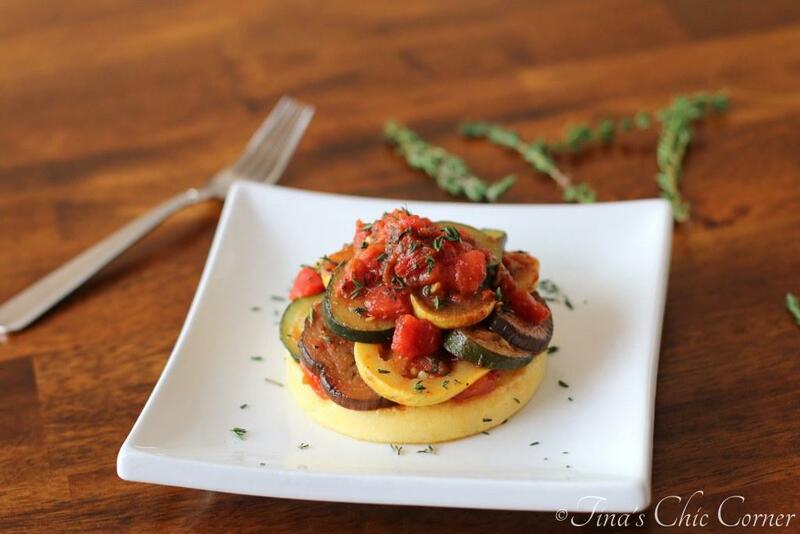 How about I get the best of both Summer and Fall in one fabulous dish like this one? Cinnamon vinaigrette, roasted sweet potatoes, dried cherries, and pecans… that would totally make for a great Thanksgiving side dish. Seriously. But let’s take that Thanksgiving goodness and have it with lettuce, feta cheese and quinoa. 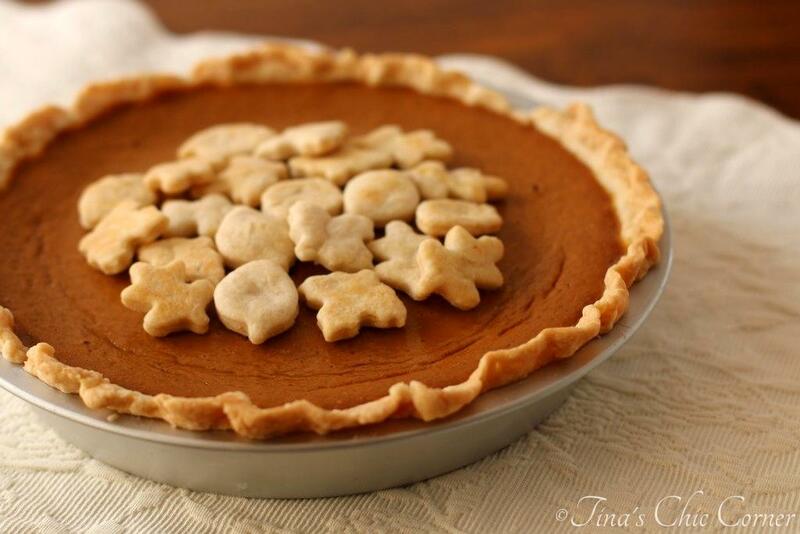 It’s like a Thanksgiving summertime salad. In a small bowl, whisk together the oil, apple cider vinegar, cinnamon, honey, salt, and pepper. Peel the sweet potato and cut it into 1/2 inch cubes. 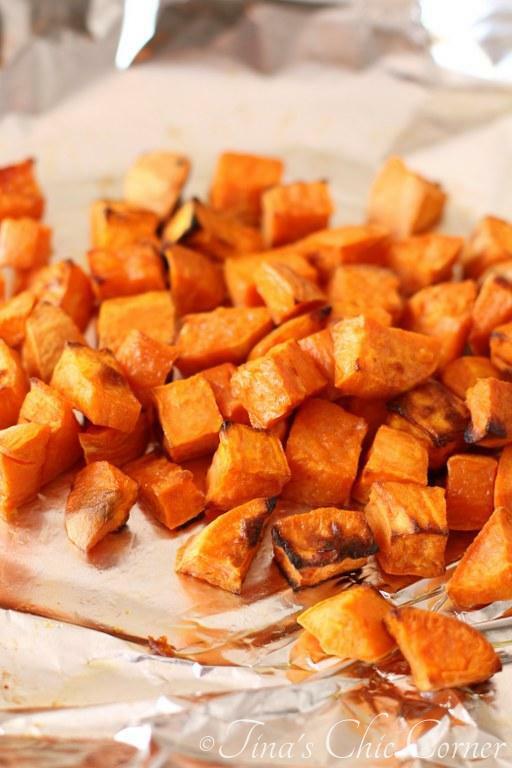 Toss the sweet potato pieces in the oil and then lay them on the prepared baking sheet, in a single layer. Cook the quinoa according to the directions on the package and then set it aside. To assemble each plate, lay down about 1 cup of greens and then top with half of each of the following ingredients: baked sweet potato pieces, cooked quinoa, cherry craisins, crumbled feta cheese, chopped pecans, chopped green onions. Drizzle half of the Dressing on top each meal. 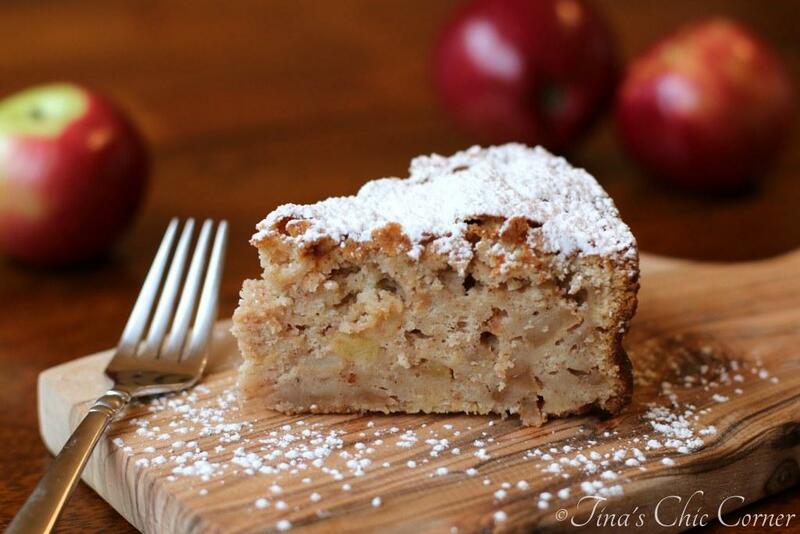 Here some other recipes that I’m craving for Fall. That cinnamon vinaigrette sounds amazingggg! 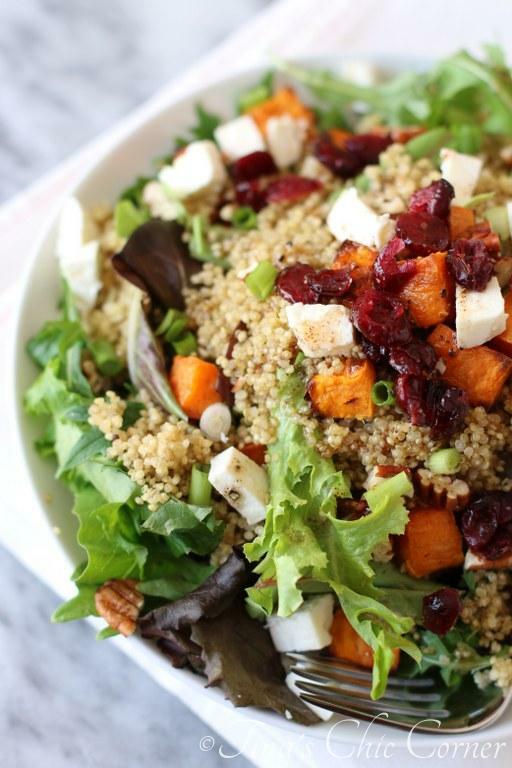 As does this salad – the perfect dish as we slowly transition to fall!! Wow Tina, I never would have thought of this. Such a beautiful salad. I love the sweet potato in here- can’t wait for fall in CT, either 🙂 Cooler temps are actually better for me, because my dorm doesn’t have AC!